Last week I started a new blog feature, sharing quotes from my (unillustrated) books, paired with pictures. 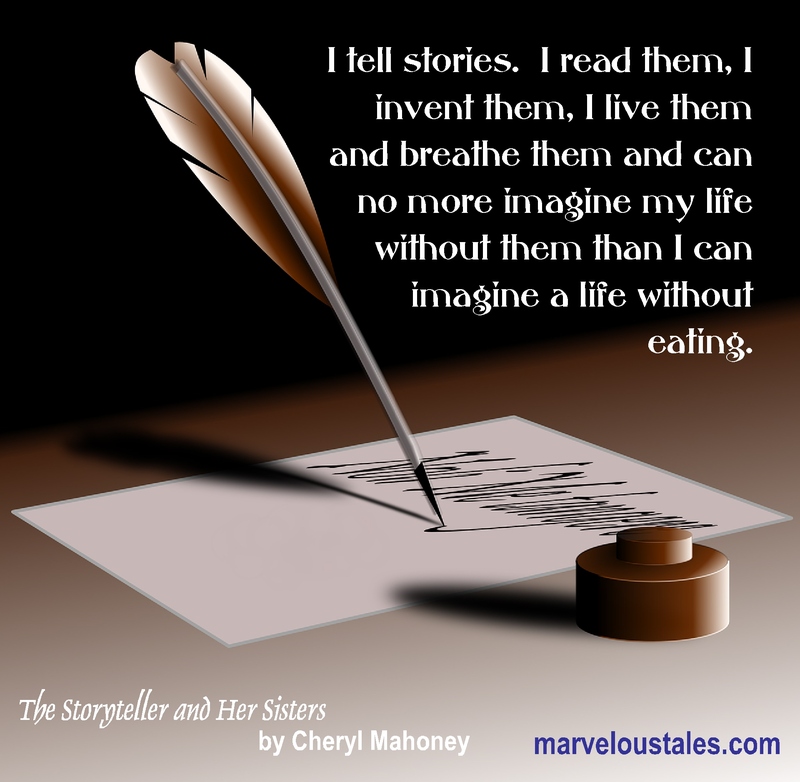 Today I have a quote from my upcoming book, The Storyteller and Her Sisters. As you might guess, it’s from the titular Storyteller–and is a sentiment I can relate to! That is your personal philosophy TOTALLY! !